SA Hot water are your local Adelaide Leda specialist for sales, and great prices on Leda hot water systems. Call today on 8444 7320 for a great deal or check out our range of Leda Hot Water Systems. Leda Solar Hot Water Systems are available in both Gas Boosted and Electric Boosted models. Specifications here. 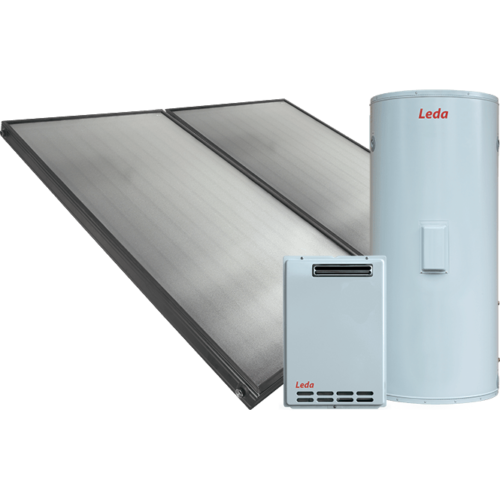 Leda Solar Hot Water Systems feature a range of tank sizes: 270L, 340L and 450L. Leda solar tanks are manufactured to the highest quality for a long life in Australian climates. An Australian owned company with years of experience in solar hot water. Leda Solar Hot Water Systems come with the high efficiency Leda solar panel. The European design and manufactured panel has been specifically designed for Australian conditions with anodised aluminium frames and 4mm tempered glass. Along with high thermal absorption and minimal heat loss Leda Solar Collectors are the leader in their class. 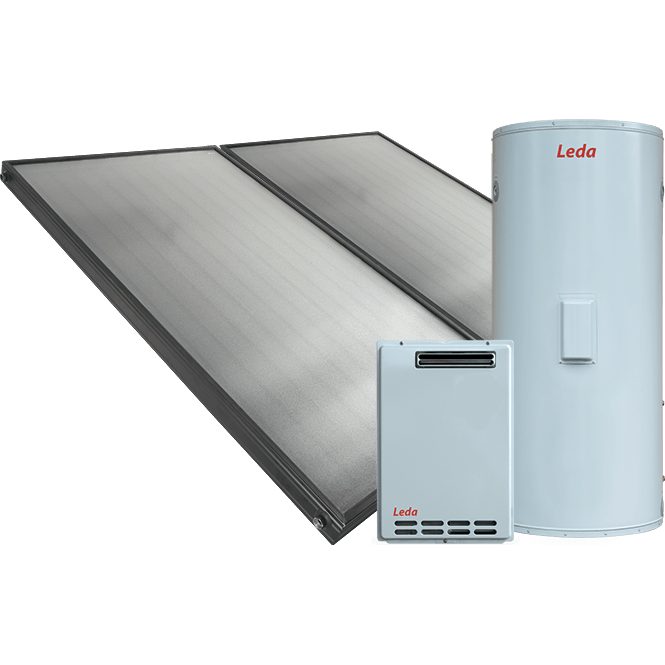 Leda Solar Hot Water Systems are available with either gas or electric auxillary boost to provide hot water when you need it, in all weather conditions. Gas boosted systems feature the high efficient Leda 6 Star continuous flow water heaters. The 6 Star energy rating ensures hot water on demand and low running costs. In a Leda Solar Hot Water System, high efficiency solar collectors heat the water. 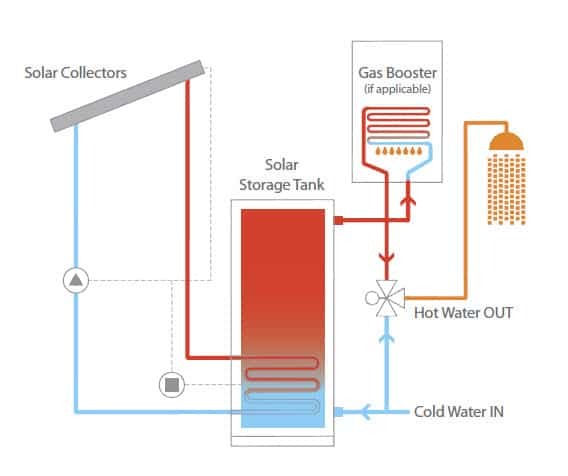 Cold water is pumped from the storage tank to the solar collectors on the roof. The heated water is returned to the storage tank ready for use. Leda Hot Water Best Price!